Sounds amazing, right? Now for the let down – more than likely, I will not be able to eat any of these dishes. So you might be asking, why put myself through the torture of seeing all of these spicy, glazed, saucy bites if I can’t even enjoy them? Well, beyond supporting a good cause, this cooking class is about more than just eating good food. It is about learning how to make good food as well. 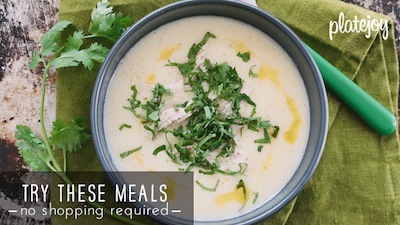 Once I know what makes these recipes tick, I can create legitimate, low sodium versions of them for myself back at home. 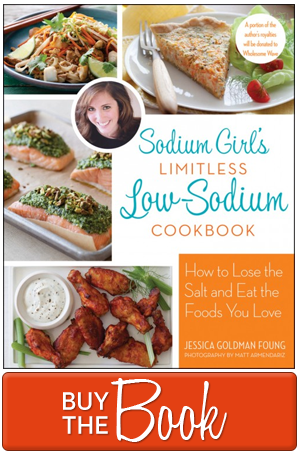 Cooking classes are the essential building blocks that will allow you to expand your low sodium repertoire. The truth is, when dining out, really good, hole-in-the-wall, ethnic cuisine is difficult to order sodium free. While I can generally get something simple, like a bowl of steamed rice and vegetables, a colorful dish that is low in salt and soy is almost impossible to find. So I usually use my experiences at such restaurants for inspiration, rather than instant gratification, and I take my cravings for sushi, spring rolls, and bibimbap back home. One of my favorite things to DIY at home is sushi. The texture and flavors of a really good seafood roll is something that I often miss. 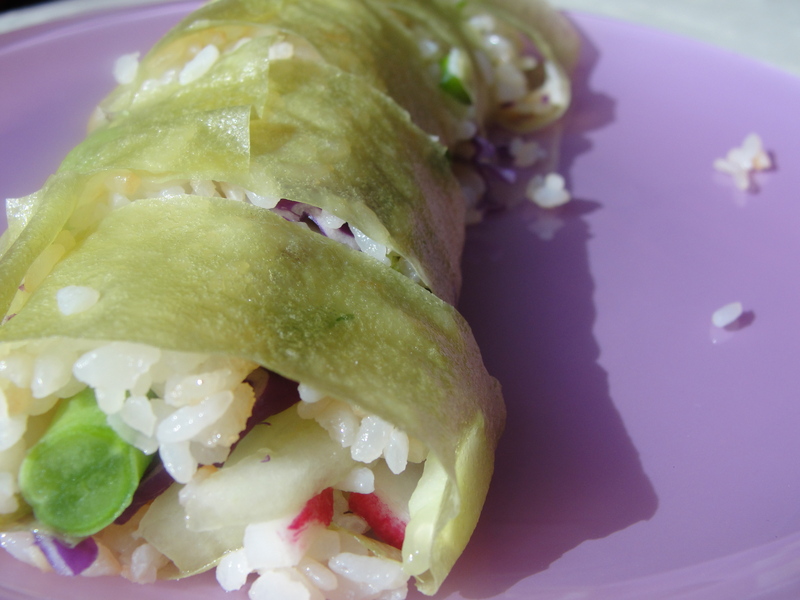 But instead of pining for these sticky, salty wraps, I decided to figure out how to make them myself. Even though it takes years of training to become a master sushi chef, I found that with the right products and ingredients, anyone can make an amateur attempt at maki that will be equally satisfying. And if you haven’t had a make-your-own sushi party yet, you should probably get yourself down to Japan town immediately and buy a few bags of goodies from the Nijiya market. You will not be sorry. If you think you can spend a long time winding down the aisles of a Whole Foods, just wait until you step into this market. You will find an assortment of sushi wrappers, sesame toppers, and fresh, sushi grade fish that are all low in sodium. Check the back of the packages, but many brands of nori (seaweed wrappers) have 0mg of sodium. There are also soy wrappers from Sushi Party that come in five flavors (turmeric, sesame, paprika, original, and spinach green) and have only 20mg of sodium per sheet. And finally, while most prepared wasabi has a lot of sodium in it, the wasabi powders, which you simply mix with water, have 0 mg of sodium. 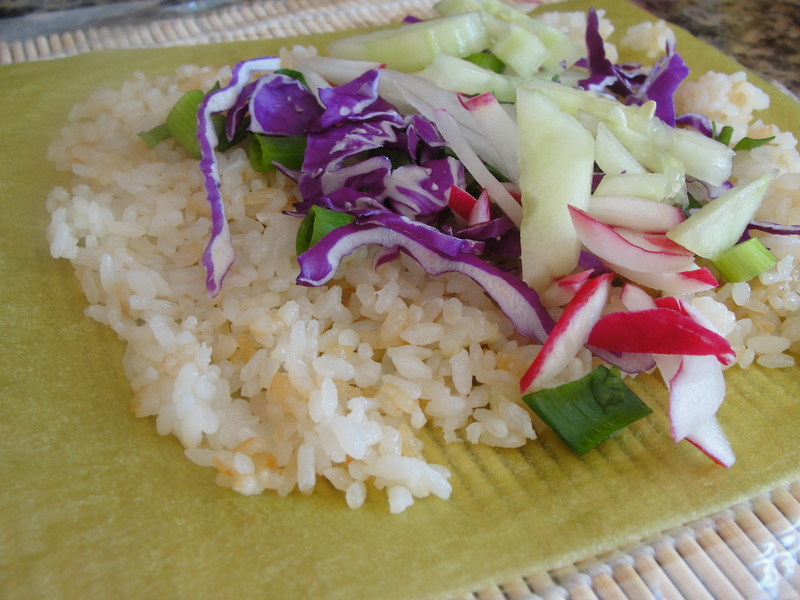 Heat up your rice cooker, get out your bamboo mats, choose your filling, and go. In no time, you will have flavorful, low sodium sushi that you can enjoy, guilt and salt free. And the next time you are envying the pho your friend is slurping down, simply take notes and do some market investigating, and make a low sodium version for yourself at home. Chow on. These are some great ideas for sushi. It’s a big hit for me & my daughter, though the soy sauce addiction is a hard one to shake! Glad you enjoyed the post and it is definitely a fun challenge to find substitute dipping sauces!